If you read my blog on a regular basis, you’ll know I’m devoted to Maybelline the Falsies Mascara. I’ve been really pleased with Maybelline’s mascaras lately. I’ve also reviewed their Illegal Lash Mascara which is quite nice and of course Maybelline Great Lash has been a beauty staple for years. 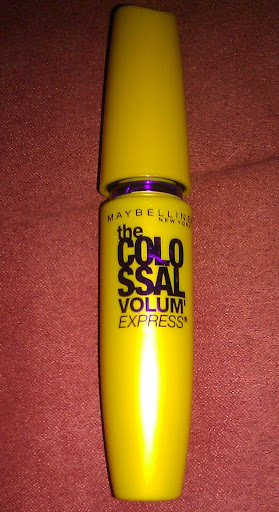 I love big bold lashes so I was intrigued when I saw a vibrant yellow tube of the Colossal volume on sale at Target for under $6. This mascara claims to give plump lashes with collagen at 9 times the volume, a large claim indeed for any mascara. This mascara goes on smooth without clumping, the brush is straight and separates lashes while lengthening. I’m not sure my lashes are 9 times the size but they were definitely plumper and longer. I think I like this mascara better than Illegal lash and although I hate to admit it, I think I like Colossal as much as I like the Falsies. I might have to do a more conclusive test and wear the Colossal on one eye and the Falsies on the other to compare the two. Check out the pictures below and tell me what you think. 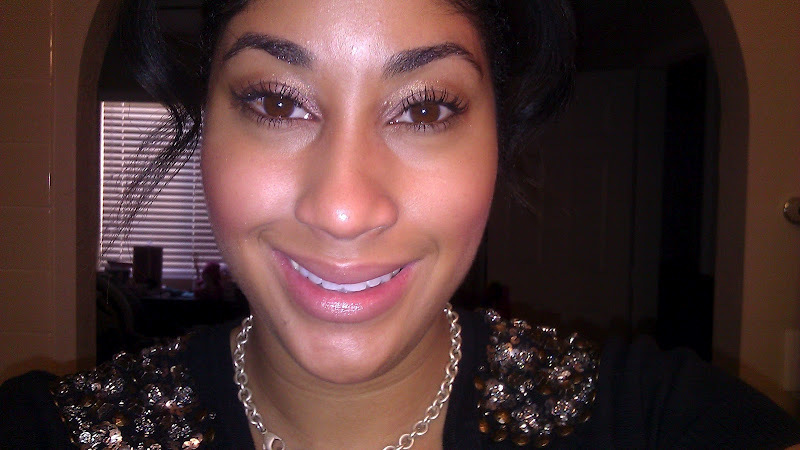 Look at picture two to see a comparison of how fat the lashes on my left eye look compared to my right eye that’s bare. My absolute fav drugstore mascara.